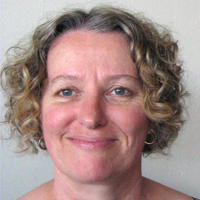 Kate Cregan is the author of Global Childhoods: Issues and Debates (SAGE, 2014), Key Concepts in Body and Society (SAGE, 2012), Sociology of the Body: Mapping the Abstraction of Embodiment (SAGE, 2006) and The Theatre of the Body: Staging Death and Embodying Life in Early Modern London (Brepols, 2009). The majority of her writing and research is based around understandings of the embodiment across time, space and culture-with particular reference to medical interpretations of the body, medical technologies and the representation in images of the body. Two of her allied interests are ethics (human, social and research) and writing pedagogies, in particular how becoming a writer informs the process of becoming a researcher. She has extensive experience teaching and researching in the humanities and social sciences and recently has co-ordinated the teaching of ethics to medical students across the five years of a medical degree. Currently, she is a senior lecturer in sociology in the School of Political and Social Inquiry, and she runs the interdisciplinary Graduate Researchers in Print writing program in the Faculty of Arts, Monash University, Melbourne.